When I was just home during my maternity leave, I didn’t have any problems with my milk supply, in fact the sometimes drip because I was blessed. But since I don’t live in a perfect world, I had to go back to my work after 2 months. Working and still breastfeeding was tough in such a way that I have to include the time I should express milk in my routine. But you know how corporate life is: there will be time when you have to attend almost endless meetings and you have to meet various deadlines all at the same time. You’ll feel the stress of the corporate life. And for all you know, your milk supply starts to drop. This was the time I had to search for something effective yet fits my budget because I really want to keep giving Ayex breastmilk. 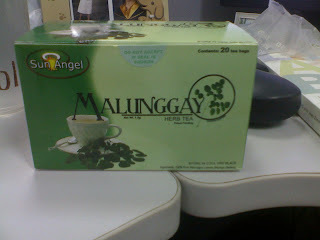 Then I found Sun Angel Malunggay Tea. True to its word: It really helps increase my breast milk.